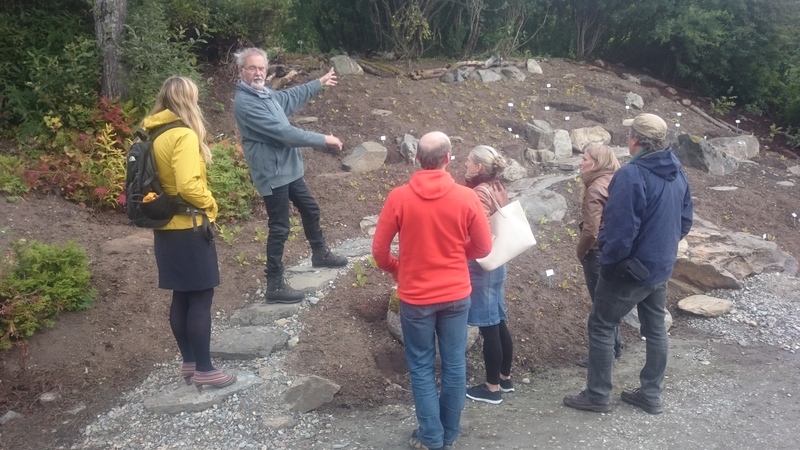 Following the Renovation of the Castle Alpine Rock Garden project and in bilateral cooperation financed by Norwegian, Liechtenstein and Islandic funds, a study trip to Norway took place between 29.8. – 3.9.2017, during which employees of the Institute of Botany visited colleagues from the university botanical garden in Tromsø. The Institute of Botany was represented by prof. RNDr. František Krahulec, CSc. (appointed by the Institute’s management) and Ing. Jiří Šmída (Management of the Průhonice Park). The Norwegian side was represented by botanic garden experts Ing. Martin Hajman, Arve Elvebakk and Petra Norgard. Furthermore, a meeting with the director of the Tromsø University Museum, Lena Aerekol, and public relations director, Kathrine Paus, took place. The study trip is a continuation of the long-term cooperation between the two institutions, that mostly takes the form of exchanging plant assortments and experience with setting up and maintenance of plant material. The aim is to further develop this cooperation and sharing of experience. The partnership on the renovation of the Castle Alpine Rock Garden significantly contributed to this development and it is currently necessary to focus on the maintenance of output. This study trip addresses the current goal as it deepens the cooperation on a personal level, facilitates the sharing of information on appropriate plant assortments and supports the sharing of knowledge and experience in the form of proven operational and technological processes for the caring and maintenance of plant material and the alpine garden area. Moreover, both sides benefit from the exchange of information, experience and know-how regarding information systems that customers with easily understandable information on the visited site. The grand opening of the renovated Castle alpine rock garden took place on 20th April 2017 at 14:00 in the Rose Garden. Attendees included representatives of the Norwegian embassy, the Ministry of Finance, the Ministry of Culture, the Central Bohemia region, the National Heritage Institute and others. The ceremony began with ribbon-cutting and an opening word by doc. RNDr. Miroslav Vosátka, CSc. – director of the Institute of Botany of the Czech Academy of Sciences, along with other notable guests: Vegard Andreassen – Chargé d’affaires of the Norwegian embassy, Marit Anne Hauan – Director of the Tromsø Museum, Ing. Vlastislav Ouroda, Ph.D. – Deputy of the Sector for Management of Cultural Heritage, Ministry of Culture, RNDr. Zdeněk Havlas, DrSc. – Deputy Chairman and Member of the Academy Council of the Czech Academy of Sciences, Ing. Michaela Vojtová – Deputy of the Committee for Agriculture and Environment of the Central Bohemia Regional Authority, and Karl Eugen, Count of Neipperg. 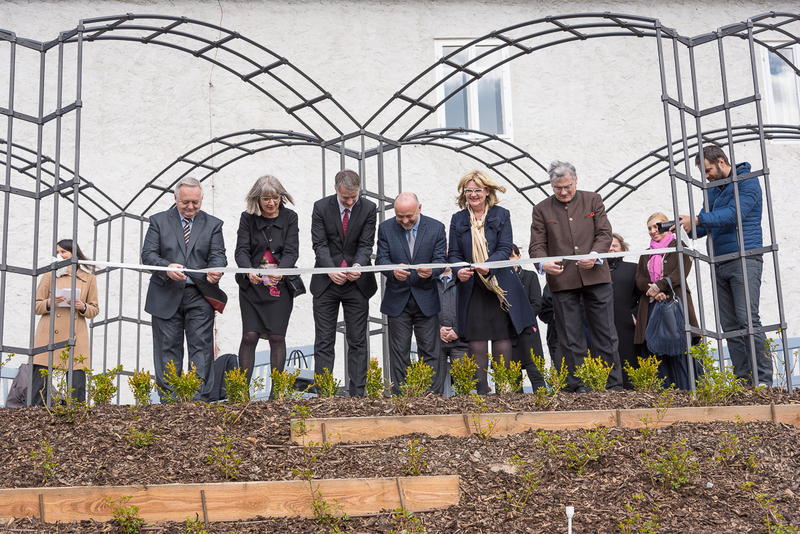 The programme also consisted of ceremonial planting of grapevine kindly donated by Karl Eugen, Count of Neipperg, grandson of Anna, daughter of Count Arnost Emanuel Silva-Tarouca, the ingenious founder of the Průhonice Park. Symbolically, this meant the replanting of several plants according to original intention in the newly renovated park areas by the descendants of the creator himself. Presentations of the project in the Knight’s Hall ensued, during which Marit Anne Hauan, director of the Tromsø Museum, Ing. Ivan Staňa, management of the Park, and doc. Ing. Pavel Šimek, Ph.D., the main planner of the project, spoke. After individual guest contributions and refreshments in the salons, those attending were accompanied by the authors of the project on guided tours of the newly renovated parts. In total 230 people attended the grand opening. The Institute of Botany of the Czech Academy of Sciences received financial support for this project from the “Cultural Heritage and Contemporary Art” programme, financed by countries of the European Economic Area (Norway, Island, Lichtenstein). The total amount of resources required by this project amounted to 31 million Czech crowns. 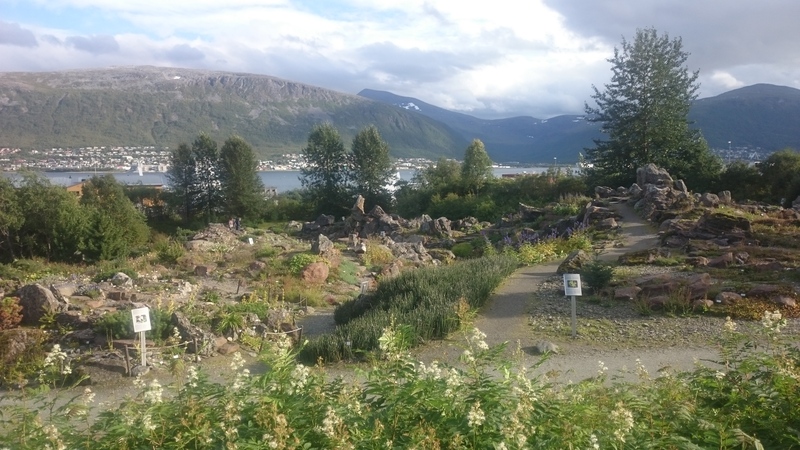 Norwegian colleagues from the most northern botanical garden, Tromsø Arctic-Alpine Botanic Garden, participated in both the planning and realisation of this project. 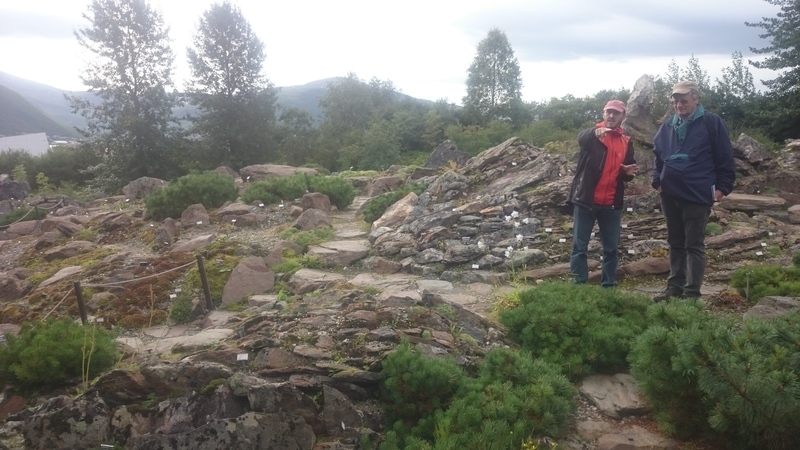 The newly renovated Castle alpine rock garden has set out to open itself to the public, provide interesting information and increase visitors’ awareness and knowledge of using rocky components along with both domestic and exotic plants. The renovated areas have been planted with the originally-intended and time-tested range of rocky garden plants, perennials and woody plants. The Rose Garden will feature 900 pieces of historical and modern cultivars of roses. In total, 33,970 plants were planted in the newly reconstructed areas. Visitors now have the opportunity to engage with a new interactive information system which also consists of an informational kiosk in the Visitors’ Centre, QR codes along the footpath and a virtual map with the individual components of the park. The map also includes panorama photos from different viewpoints in the park and during different seasons. Due to its historical, cultural and collectors’ value, the Průhonice Park is listed as a Czech National Historic Landmark and a UNESCO World Heritage site. 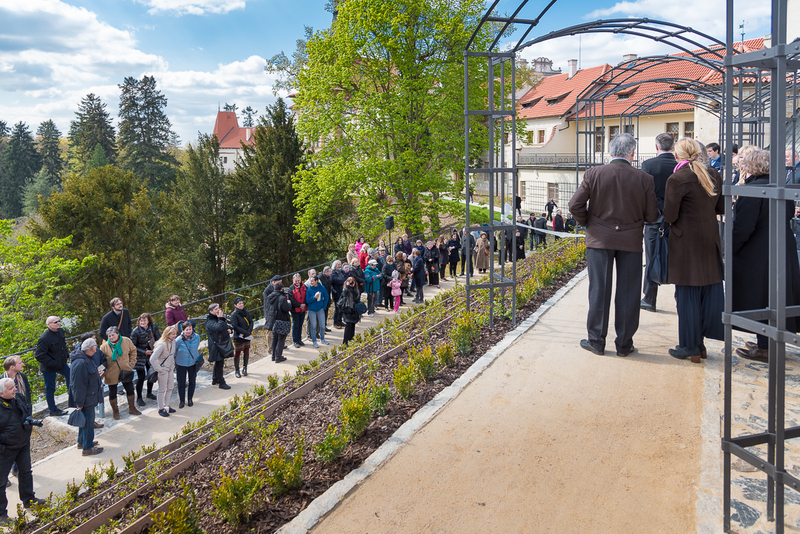 As of April 2017, the project “Průhonice park – Renovation of the Castle alpine rock garden” is finished. Promotional material has been completed and printed and a commemorative plaque was installed. Currently, administrative and financial work needs to be finished and starting from May 2017, the project is progressing from its phase of realisation to its long-term phase of sustainability. Employees of the Institute of Botany of the Czech Academy of Sciences will continue with their care for the project and we hope it will attract a wide spectrum of both experts, enthusiasts and laypeople. Construction work on the Castle Alpine Garden continued in full extent during the second half of 2016. The building and renovation of stone walls was completed. The spring was repaired and were paved. Vegetation adjustments were made on terraces under the bastion and around the lake. Garden furniture and metal structures were crafted. Additionally, work began on promotional leaflets that will include a map of the renovated Castle Alpine Garden along with designated paths for visitors. English and German versions of the leaflets are also being produced. The closing ceremony of the project has been planned and scheduled for the second half of April 2017. Throughout the whole period, project and financial management took place in the form of translated monitoring reports and communication with the provider of the EEA 2009-2014 grants. After occasional technological breaks during the winter months, construction work on the Castle Alpine garden resumed fully in spring. They commenced primarily with the reconstruction of stone walls and the preparation of sites for vegetation – the cultivation of soil and weeding. Simultaneously, the structures and park furniture entered production. At the end of March, a fourth visit by the foreign partner of CR happened, during which construction work, planting and subsequent care for each location of the Castle Alpine garden were discussed with a representative. Throughout the whole period, project and financial management took place in the form of translating monitoring reports and communication with the provider of the EEA 2009-2014 grants. In the second half of the year, the project commenced with the construction work according to the previously prepared project documentation. As you were informed through this website, the work began primarily with the preparation of the area, felling of some trees and shrubs and the cultivation of the retained trees by the arborists. The work on slope stabilization and repair of retaining walls commenced. Also the plant material for designed plantings was ordered. Furthermore, work began on the new information system which is composed of three parts – the monitoring of the environmental parameters, an interactive guide, and the virtual Castle Alpine Rock Garden. The structure of the database of taxa was processed for the purpose of management and recordkeeping of the range of plants, work was conducted on the development of the interactive guide application and the new map application, which included the implementation of a 3D model of the park. Co-operation with the Norwegian partner continued. In the second half of August, the implementation team visited Norway and already a third visit was paid to us by our project partner in the second half of September. Co-operation on the sub-project “A Tromsø-inspired area in Průhonice” was negotiated, which is a composition concept dedicated to the original Nordic species of alpine plants as well as species that were successfully introduced into northern parts of Norway, that have potential usefulness in the climatic conditions of Central Europe. We informed you about this project not only through this website and the Průhonice park website, but in print – an article in the magazine “Skalničky” (summer 2015 issue) and Inspiration (December 2015 issue), or during the information days held on 13th and 20th November, 2015. First six months of the project “Renovation of Castle Alpine Rock Garden” have passed and we would like to inform you about its progress. The project was commenced by the finalization of the detailed documentation regarding the renovation of the Castle Alpine Rock Garden and the information system. Subsequently, all of the planned tenders were implemented and the major suppliers were selected – of the construction, of the information system, and of the technical and authorial investor’s supervision. We informed the public about the project not only through the Pruhonice Park website and the website of the Institute of Botany but also through several magazines – the monthly magazine Průhonicko (Janurary 2015), the magazine “Zahrada, park, krajina” (January 2015) and the “Botanica” journal (June 2015). Through the course of the first half year we were visited by experts from our Nowergian partner – UIT The Artctic University of Norway, Tromso University Museum (February, April, 2015). We are currently working on the processing of the first monitoring report. Construction work and the creation of the information system will begin in the nearest future. Alpine garden which was founded by count Arnošt Emanuel Silva-Tarouca on the steep slopes of the valley of the Botič stream is Europe-wide unique. It is considered one of the largest and oldest in Europe. However, during the 90-year existence of the alpine garden, the decorative woody plants and herbs did not always receive the care they required, and this also applied to the technical elements of the garden. As a result of this, some sections of the alpine garden are today in a serious state of disrepair. In the course of 2014 a project for the restoration of the Alpine Garden was drawn up in cooperation with experts in the field of garden and landscape architecture. For this project the Institute of Botany of the Czech Academy of Sciences has secured financial support in the framework of the CZ06 programme “Cultural Heritage and Contemporary Arts”, financed by the EEA countries Norway, Iceland and Lichtenstein. The overall eligible costs of the project amount to CZK 31,795,820, of which CZK 25,436,656 are covered by the grant and CZK 6,359,164 by local resources. The main aim of the project to restore the Alpine Garden is to make this part of the park fully accessible to the public and to afford visitors a new and attractive experience. The historic Alpine Garden on the northwestern slopes below the castle bastion will be restored as well as the southern slopes below the castle panoramic terrace, the historic “Rose Garden” adjacent to the rear of the church of Nativity of Virgin Mary, the area around the historic spring, southeast and eastern slopes of the observation platform, called “Old Alpine Garden “, which provides spectacular views of the castle across the Podzámecký pond. Restored areas will be planted with original or old assortments alpine plants, historic roses etc. The Alpine Garden will also introduce a comprehensive education programme, which will offer visitors specialised information concerning plants, the way the garden was restored and its history. The launching of the project is planned for spring 2015. It should be completed by the end of April 2016. 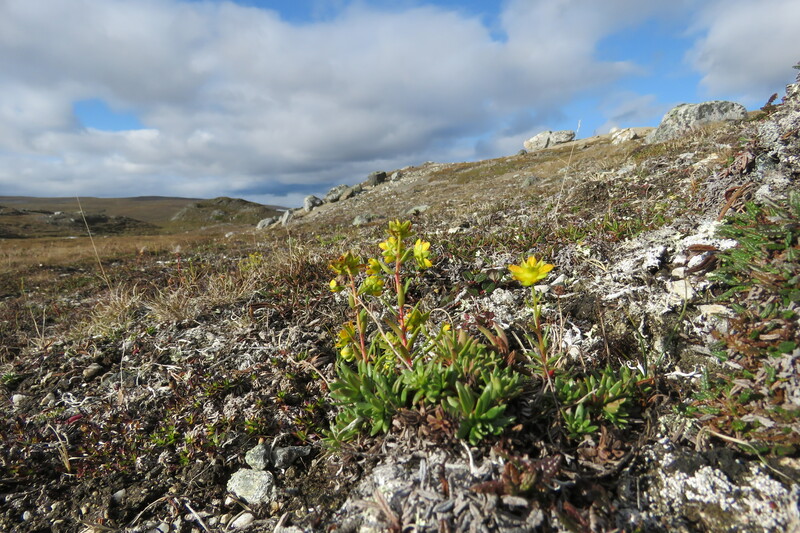 Taking part in the project will be experts from the Tromsø Arctic-Alpine Botanic Garden in Norway. The restoration work will unavoidably limit public access to this part of the park. We therefore ask visitors to Průhonice Park to understand the reason for this.We believe that all the efforts and expenses involved in this project will greatly improve the state of the park as well as the visitor experience here. We look forward to the new and improved appearance of the Alpine Garden. And we know you do, too! In January 2015, the implementation of the project Průhonický park – Renewal Podzámeckého alpina “, which is co-financed under the program CZ06 – Cultural heritage and contemporary arts, PA 16-3 – Preservation and revitalization of cultural and natural heritage – monuments of garden architecture. The project begins with detailed of documentation. Subsequently the tenders for a building contractor, technical and architectural supervision will be implemented. The building work is expected in the spring. The implementation of the project involved a Norwegian partner “UIT The Arctic university of Norway, Tromso University Museum” managing Arctic-alpine Botanic Garden. The project partner will involved in the field of plant assortments, gene pool collections, educational system through mutual consultations and trips abroad.